Sick of the boring after work drinks that you have a Friday afternoon? Forget that! 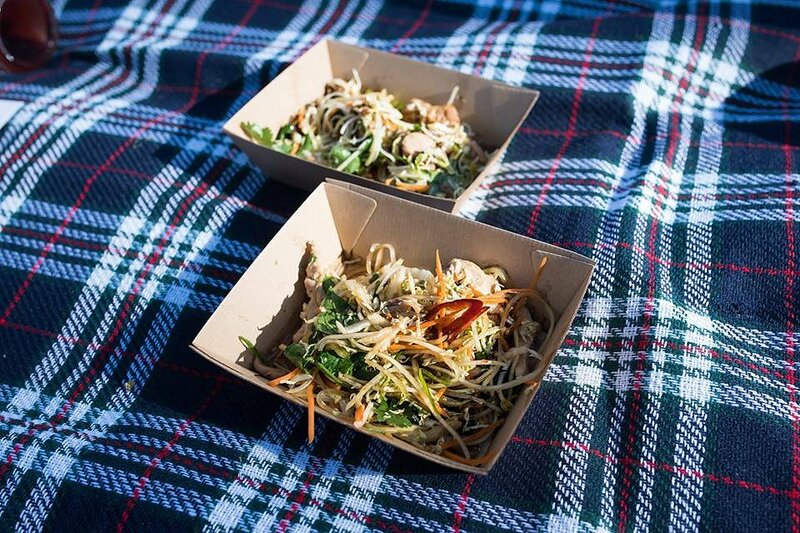 Grab a few mates and head down to the Bedford Noodle Markets held at Peter Lehmann Wines. For the 5th year running, the Bedford Noodle Markets is a great way to spend a Friday summer evening. 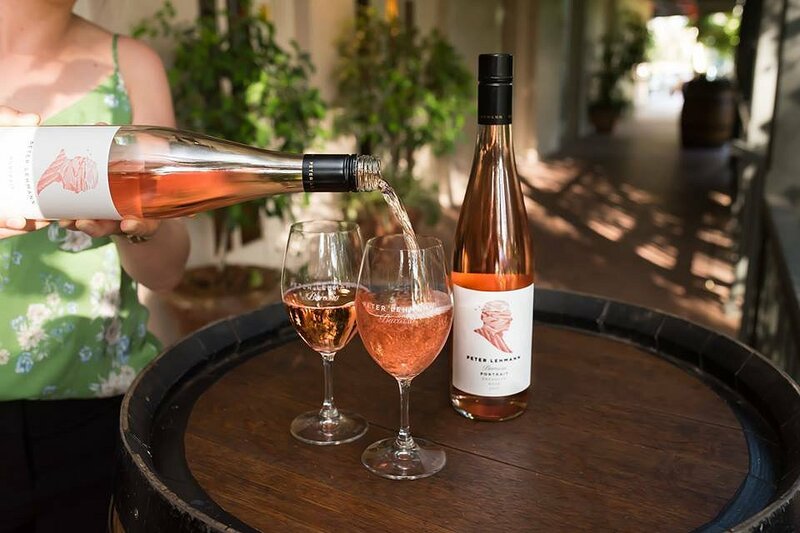 With delicious drops of Peter Lehman Wines, you can enjoy Asian food from Hawker style stalls, and listen to great live music in lush green surrounds. From the guys at Handmade Catering, we had the Twice Cooked Pork with palm sugar, caramel lime and Asian slaw. The pork was tender and succulent with flavours that reminded me of a Vietnamese casserole dish. We also had the Grilled Spiced Chicken with ginger and papaya salad. The chicken was perfectly cooked, and you could taste the subtle hints of ginger with every bite. 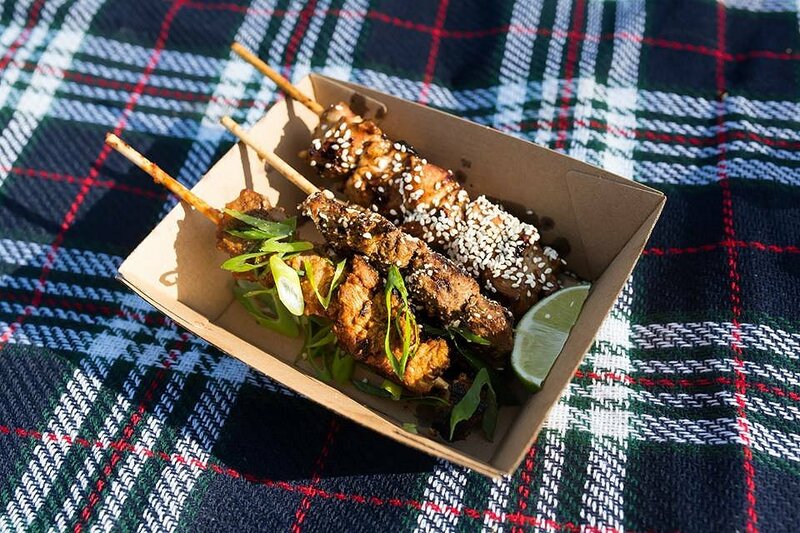 Harvest Kitchen served up a selection of BBQ Skewers, with our favourite being the Barossa chicken with honey, soy and sesame. Fresh off the grill, these skewers were divine! The meat was well seasoned, juicy and succulent. What more could you ask for? Harvest Kitchen also offered a Roast Pork Banh Mi. 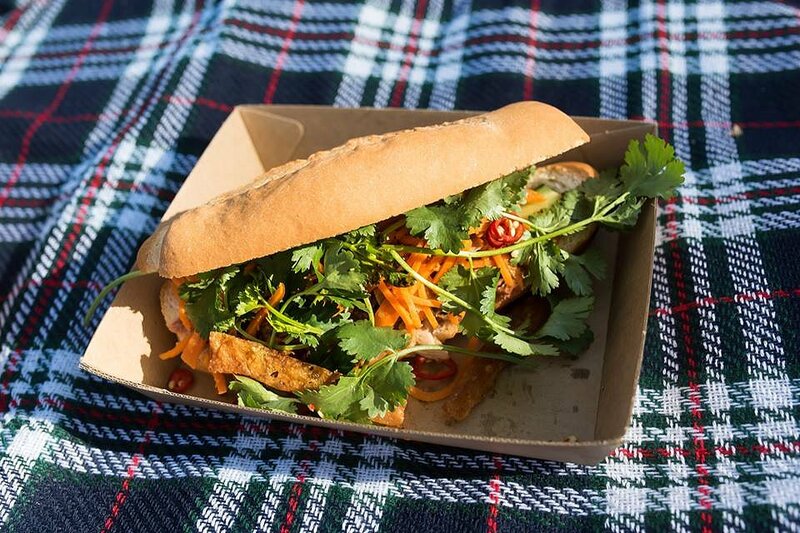 Just like you would get a Vietnamese deli, the Banh Mi was packed full of Asian herbs and juicy roast pork. The pork crackling as just right and the freshly sliced chilli really turned on the heat. 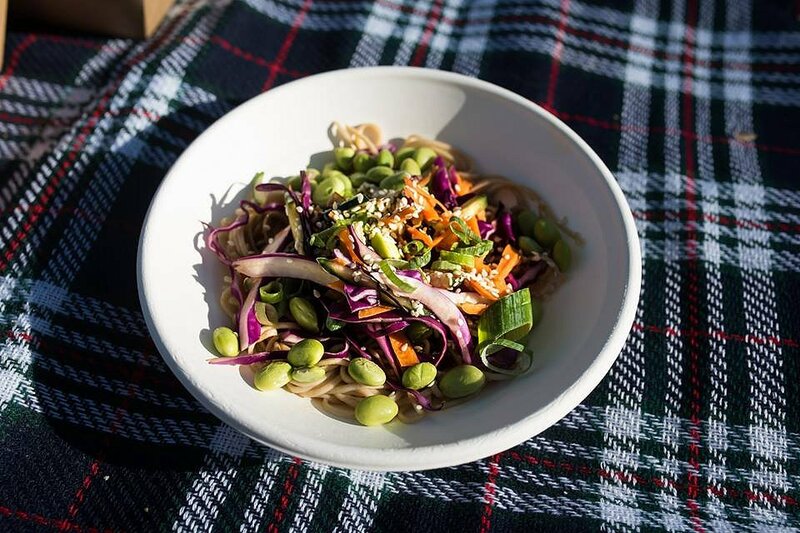 The Organic Soba Noodles was some of the Asian inspiration by Forage Supply Co. This delicious cold noodle dish was packed full of crispy vegetables on a bed of perfectly cooked noodles. The soy citrus dressing was critical in bringing all the elements together. 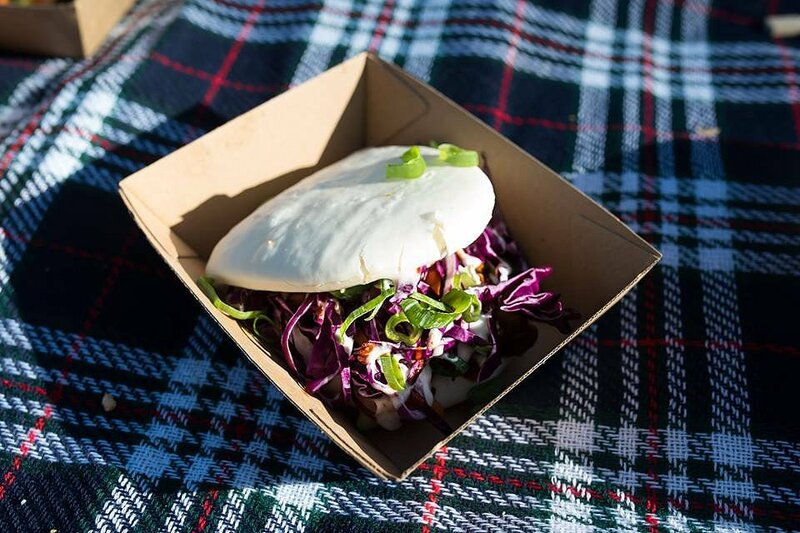 Forage Supply Co also offers a BBQ Bao Bun. In a larger than normal bao bun was a medley of Asian herbs and pickles, and as a first, BBQ pulled jackfruit. It was so full of flavour and the texture reminded me of a pulled pork. You’d be forgiven for thinking you were eating meat. As we always say, no meal is complete without dessert. 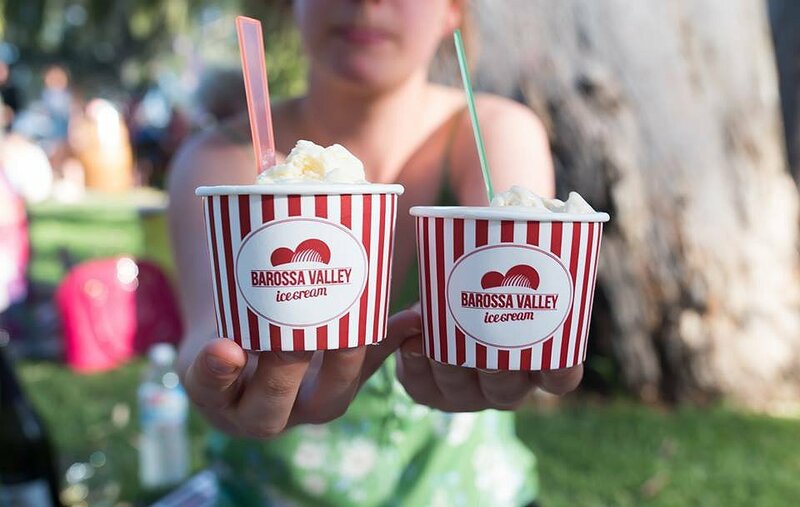 Barossa Valley Ice Cream comes to their rescue with their homemade ice creams made only using local ingredients. These guys really know how to make ice cream and you can taste the difference! Our favourite was the Salty Caramel which tasted like real caramel. It was perfect for the hot weather we’re having. Friday afternoons don’t have to be boring! 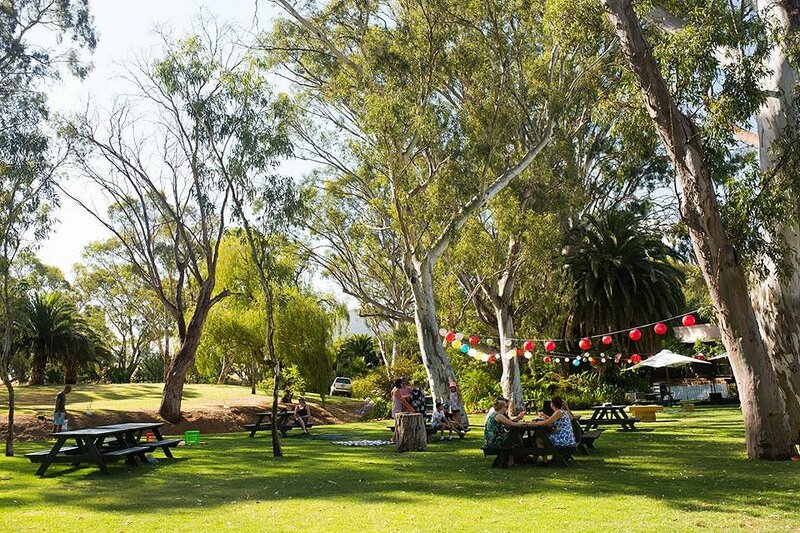 Head down the the Barossa and check out the Bedford Noodle Markets. Plenty of fun for all your friends and family. The Bedford Noodle Markets will next run on February 16th and March 23rd from 5:30pm to 8:30pm.